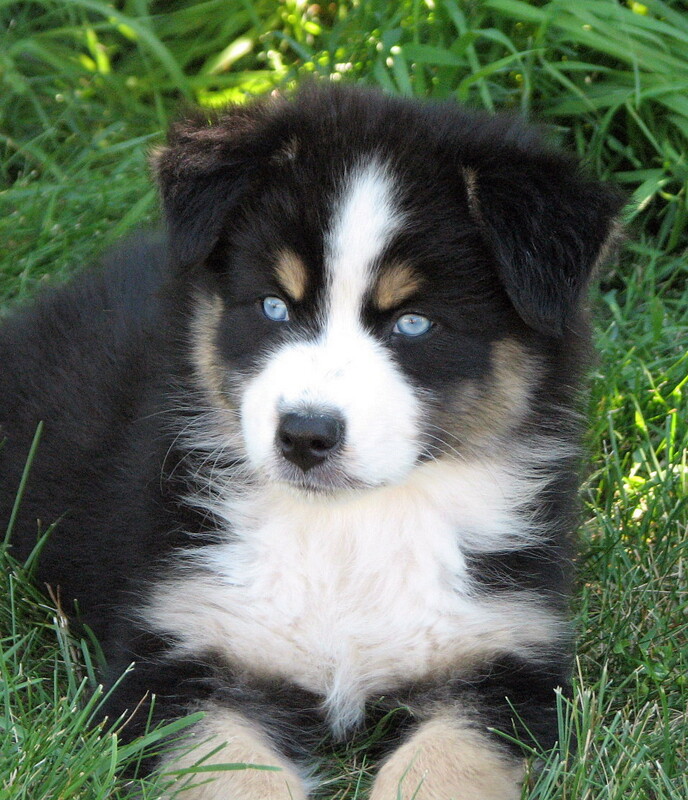 I thought it would be fun to have a page to show pictures of Aussies at various ages, so you can see how they grow up. Puppies may go through various "funky" stages where they are all leggy with short coats, and still turn out to be quite stunning. I don't see a lot of websites with photos of dogs from puppyhood through adulthood, so I will make a page here. It will be a work in progress as I collect and add more photos though, so check back regularly. Something else to note is that various bloodlines mature differently. Some get very lanky and gangly looking, and take a while, even a couple years or more, to look truly mature. 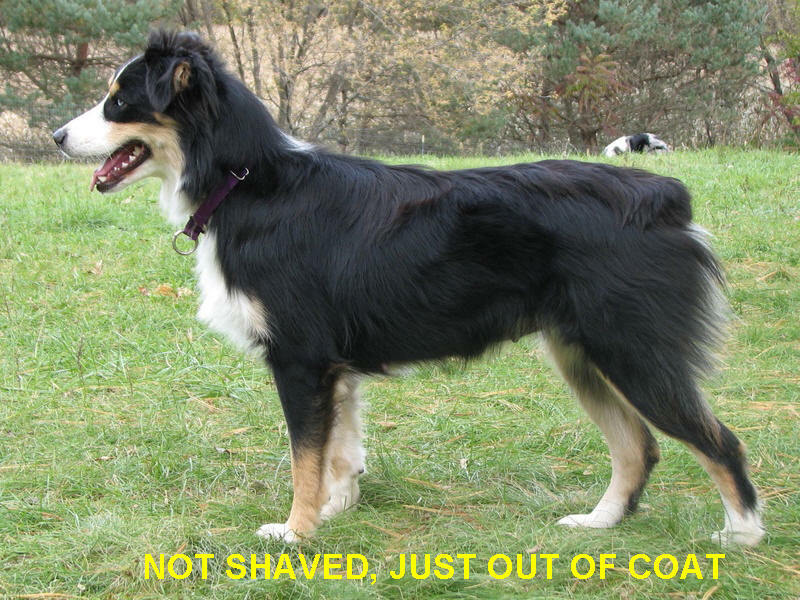 Other lines hold together better, looking more balanced and keeping more coat as they grow. Knowing what pattern your pup will follow as he or she matures will help you know a bit more of what to expect at various ages. Finally at 3 years old looking much more mature. This male is from a more slow maturing line. Above, at 9 months and very fluffy after a bath. She is already looking fairly grown up and of course has a huge coat. This is a line that never goes through quite the lanky stage as the male above. Above, at a year of age, she has blown her big puppy coat. She still has nice substance and bone, and some coat, but not the huge fluffy puppy coat she had 3 months earlier. "The end of a matter is better than its beginning, and patience is better than pride."